Sam and I just finished our first day of Bondurant Racing School in Chandler, Arizona. Absolutely the most fun one can have with one's clothes on! The first day consisted of heel toe exercises, braking and avoidance exercises, then enough hots laps around an oval to have the proper line etched permanently into memory. All in a recent vintage Corvette. Man, those things rotate!! Power oversteer is no problem! In any event, three more days to go in the hot Arizona sun! With any luck, we will wind up with our provisional SCCA racing licenses! Mike S. and JimBeemer like this. Last edited by herrubermensch; 7th July 2015 at 02:15 AM. 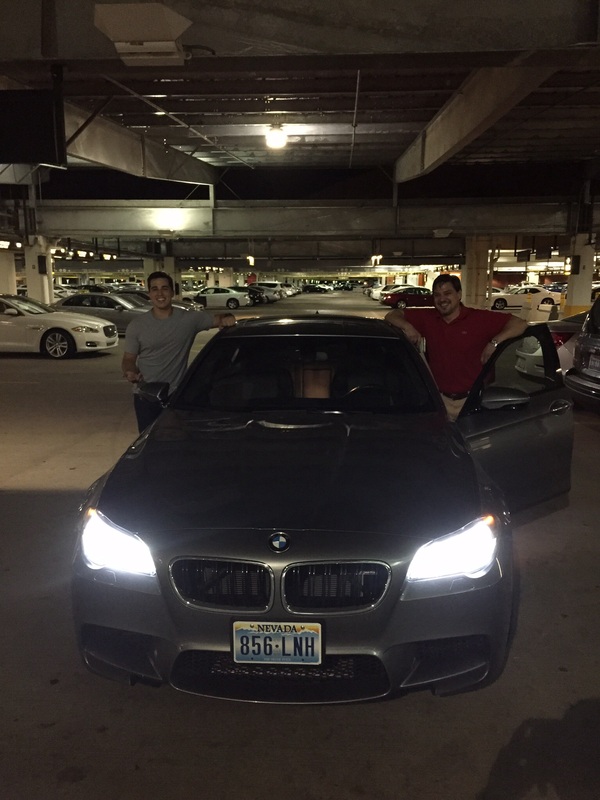 Sam talked me into renting an F10 M5 for the trip (though I was able to negotiate the rate down to 20% of sticker). Mike S., REKIII, JimBeemer and 2 others like this. 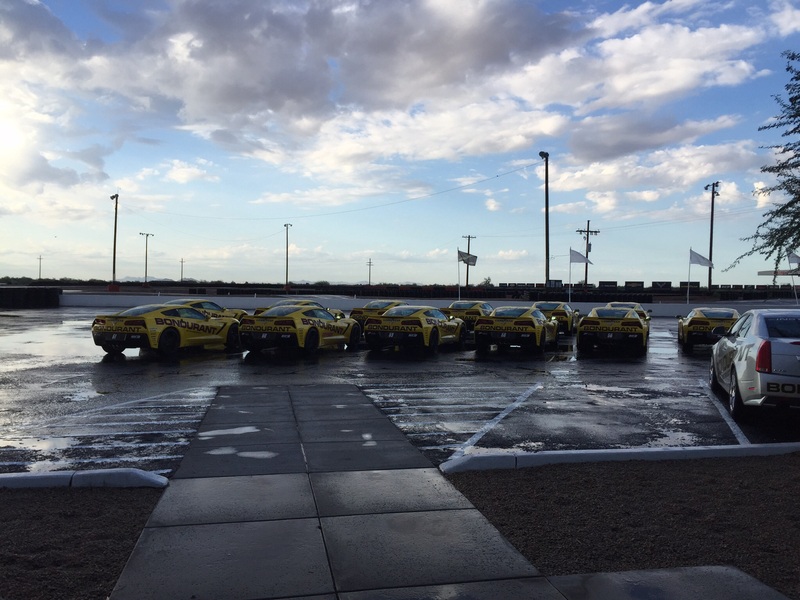 And here is the fleet of corvettes! I feel so...RAO-like! The morning as a little wet, which assisted my power over steering quite a bit! Came close to going agricultural a couple of times, but never quite got there. Mike S., JimBeemer, AGM5 and 2 others like this. Last edited by herrubermensch; 7th July 2015 at 02:19 AM. Oh so jealous! A friend of mine did the Bondurant school in preparation of not pranging his new Nissan GTR. Spoke very highly of it. So who's taking the pics? His personal valet, of course. herrubermensch, gzig5 and rao like this. Very cool Peter! Welcome to Arizona where it never rains lol. I did the Bmw 2 day M school last fall and that was a lot of fun. I really warmed up to the F10 M5 when it was on the track. I was amazed by its abilities to tolerate long sessions on the track without overheating and without brake fade (carbon ceramic brakes). I bet the corvettes are a lot of fun. Enjoy and have a safe time, I am looking forward to more pictures and personal accounts. herrubermensch and nsogiba like this. Last edited by jimmythefish; 7th July 2015 at 07:36 AM. Peter, looks like a great time, this is definitely up there on the bucket list. Shame you couldn't have taken the beater rental car on track, then you could have really opened it up. You DID opt for the extra insurance, right?! Make sure to have them cover how to put an automatic transmission into "D" so that you can use your skills on the new BMWs that are coming. gsfent, Mike S., herrubermensch and 8 others like this. gsfent, rao, JDMM5 and 3 others like this.